So its time again to revisit rules and plan next year! Fuel points must be taken for fuel over 40% ethanol (a clarification not new points). Fuel points now apply to race fuel 100 octane or above as well. We have re-instated the "Aftermarket internals" rules. 0.25 if OEM compression ratio is altered regardless of displacement. Due to more data cams have been reduced in points to 0.25 but now includes back-dating and mis-matched cams (AP1 cams in AP2 etc). The list of "Special" street tires have been amended for the latest tires. Our basis for this continues to be the Hankook RS4 as a baseline tire. I don't see anything confirming the schedule on the facebook page. 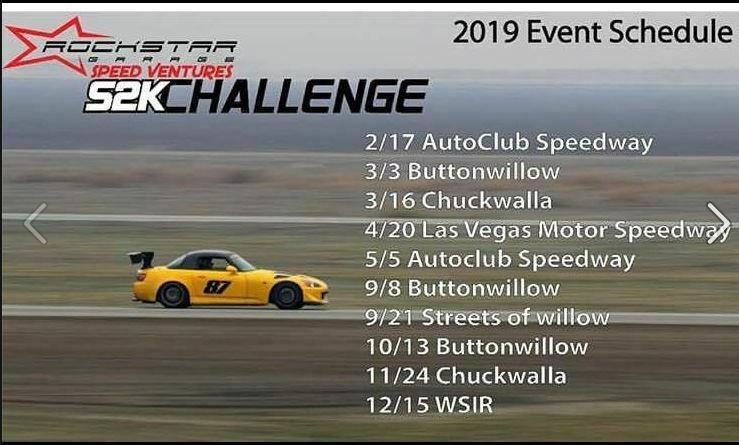 SpeedVentures also has some additional events listed as s2k challenge dates. Also noticed no chuckwalla listed as an S2kC event for November - hope that's not the case. Schedule looks good, with hearing how fun Las Vegas was, I am really interested in making that trip but also interested in caravan or trailer due to the distance. Did anyone drive last year or most people trailer? Look forward to the 2019 season, glad ACS is only twice. ACS is awesome what're you talking about ?! ACS to me is a track with no run off and a ton of k wall. I disagree, the only turn without enough run off is playground. That's like the most dangerous turn on this schedule cuz you hit the dip wrong and you're getting cozy with the k wall. I have an AP1 with coilovers, 17x9's all around and 255 (2.75 points so far) RE11A's (0 points), with RE71R's (1 point) waiting to go on once I cook up the RE11A's. 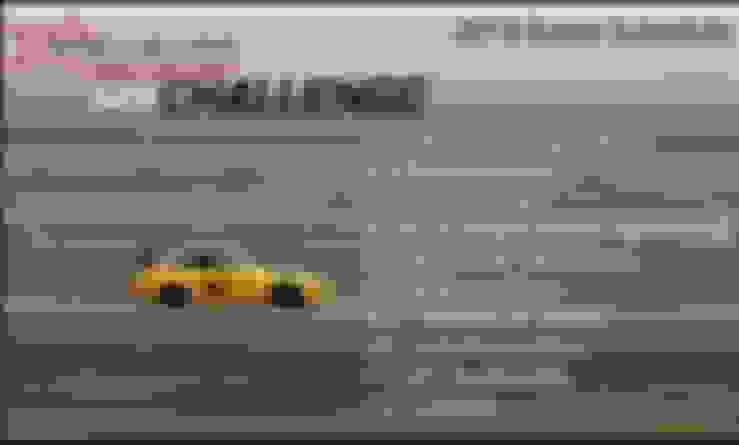 I don't have many mods and wouldn't be able to compete in modified, nor do I want to. Any chance you guys can consider bumping up the street class point total or maybe reconsidering the point allocation for street tires - 1 point for level 1 street tires, but .5 points for level 1 race tires seems a bit off, but I have no basis for that and I'm assuming these street tires are faster than "level 1" R-compounds? Yes, the 200TW point tires are quicker than the level 1 R-compound tires. You might want to run a different tire than the RE71R for longevity and standing up later in the session / day, anyway, and this will keep you in street.